Is your used car making a funny noise? Maybe you have poor luck and have been in an accident with your new Ford truck? Whatever the case may be, the expert technicians at Longmont Ford are here for you. Our experienced staff is waiting at our state-of-the-art facility to take care of any of your car maintenance and repair needs. If you’re interested in scheduling an appointment at our Ford dealership near Erie, CO, please fill out the form below and a friendly member of our staff will get back to you promptly. 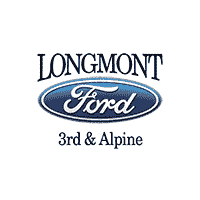 At Longmont Ford, customer service is our top priority. That’s why we only use OEM car parts and offer service specials to help you save. If you have questions or would like to speak with someone at our Ford service center, please feel free to call us. We look forward to hearing from you! Can’t find what you’re looking for? Please call (303) 776-3600 to reach our service department!